Everyday our organism needs to get healthy food, which is rich with vitamins and minerals. Here we will give a recipe for good healthy smoothie which is made of creamy butter, soy milk,banana and oats. This smoothie is like healthy dessert in glass. This smoothie is made for only 5 minutes, so you can get this smoothie for breakfast, snack or midday meal. This smoothie contains 14.7g proteins and 4.7g fiber. Put all ingredients in blender and blend for 30 seconds then stir. Then resume with blending for another 30 – 60 seconds. 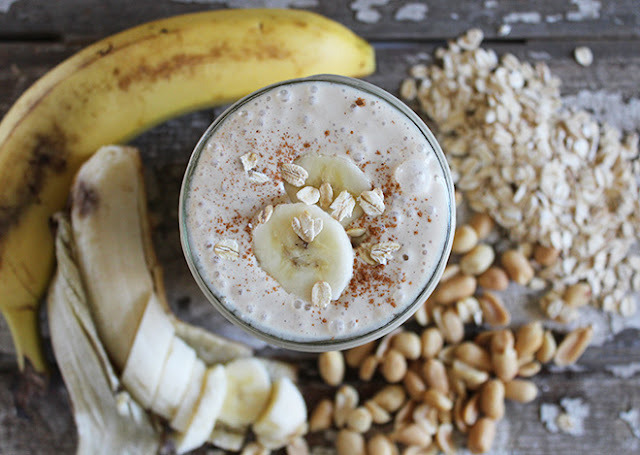 Pour into glass and decorate with oats and banana slices.